I am also in the middle of creating my own patterns and origianls pieces as well. Here is a set of Ornaments that I just finished and listed on Etsy....I think I am going to make a up a pattern for these. I have to get back into making patterns for the pieces I design. 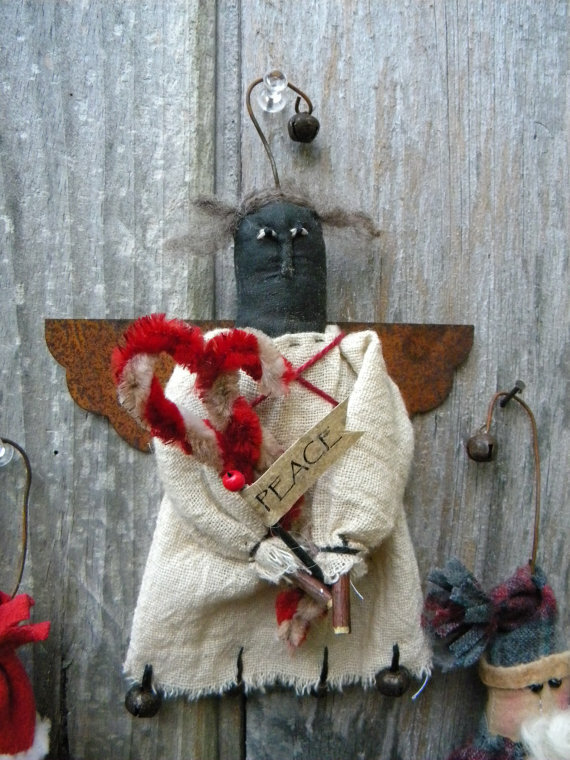 I think I have to fix the angel.....she looks mad!!! ha! I am also going to make her dress a little longer...it looks a little stumpy as it is. Yep just the head!!! 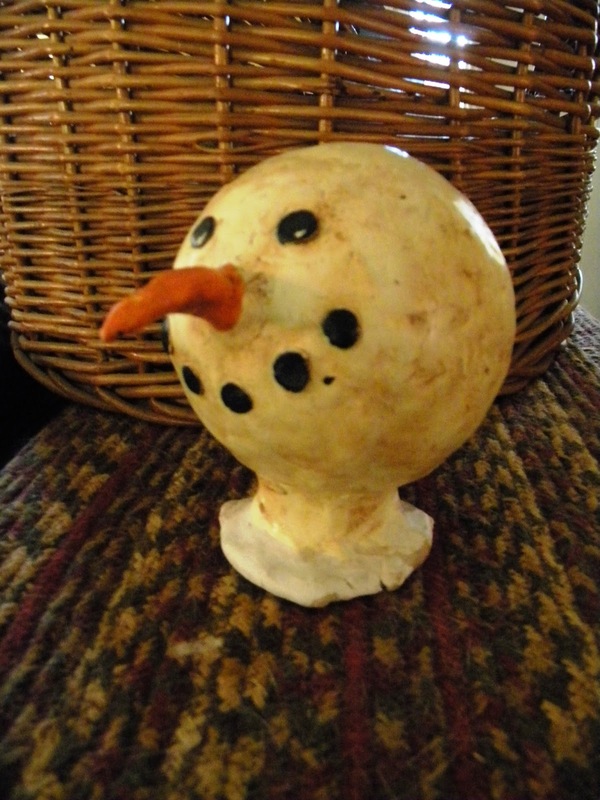 But I just have to figure out if I want to make a snowMAN or snowLady! 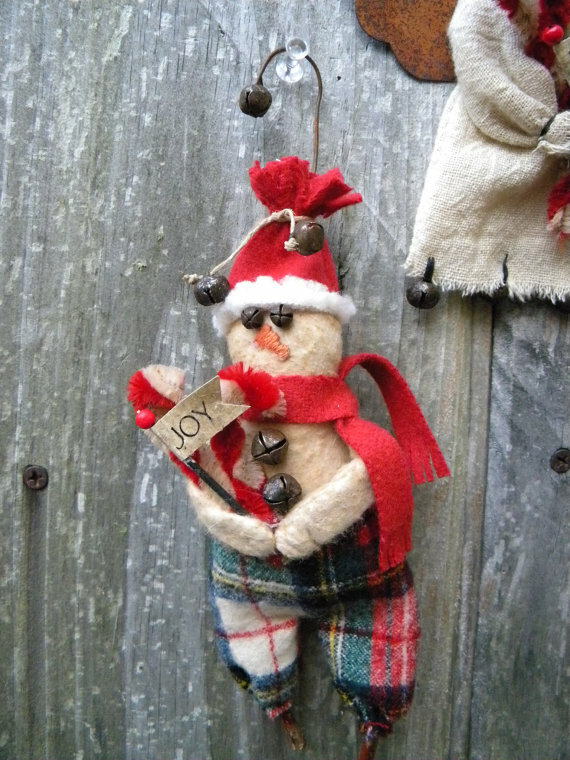 I am pictuing a very plumpy rolly polly snowMAN we will just see where I go with it! I have to make a few more heads this weekend to make more of these dolls but I have to pick out different matterial for their dress......we will see!!! 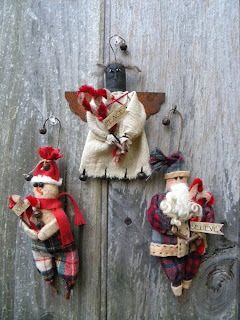 .AUTUMN AND CHRISTMAS!! I am getting back to my sewing...finished my Halloween/Autumn additions and now I am excited to get going with Christmas!!! This guy I actually made a little while ago and I love him!!! He is all original and just a great Halloween folk art piece! It is hard to see but he is holding a burlap bag with a black cat and the crow has a piece of candy corn! 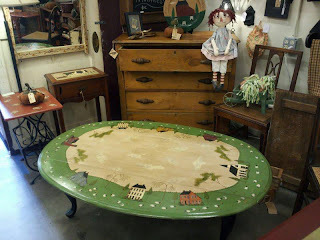 Here are a few pictures of my spot at Millcity Antiques....Need to fill in some spaces but I am getting there!! 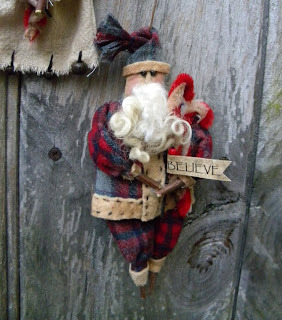 Now that I have finished my Halloween/Autumn projects....................CHRISTMAS TIME!!! Finished the drop leaf coffee table!! I am also finishing up a GREAT blanket-cedar Lane hope chest. I got it at the antique shop and I am painting the top. I might keep this one because it is really a beautiful cedar chest!! We will see. I'm getting excited about the fall and will be putting a hold on my painting...running out of floor space in my space ...and concentrating on halloween/fall stuff!! My FAVORITE time of the year!!! Can't wait for the cold air and cider!!!! Darn! Forgot the before picture!!! Soooo I got another great piece of furniture at Goodwill....I had NO IDEA what I was going to paint on it. I knew it was going to be black and I painted the gold squares still having not a clue what to do....so downstairs it went until I figured out what to paint. I just have to get some antiquing glaze on it and it will be ready for my shop! I still have TONS to finish up. I am in a new location that I absolutly LOVE!! It is called Mill City in Manchester. It is in one of the old Mill buildings so it has UBER charm!! I will post some pics of my space when I can! SO MANY PIECES SO LITTLE TIME!!! http://www.millcitynh.com/index.html I JUST LOVE THE HUGE CEILINGS AND THE MILL FEEL!! What a beautiful building! I can't wait to move in....I have to next week. So I have to finsh a bunch of my furniture.......remove my inventory from Collectors Eye.......and pack for a week in Cape Cod!! ALL BEFORE NEXT FRIDAY!!! Then I picked up the TOP of a vintage drop leave desk. I loved it, it was all plain wood and just finished my painting on it. And last but not least...ANOTHER SCHOOL DESK!! I just love these. By themselves they are adorable but I can hadly get them in such good condition that they DON'T need painting!! !I still have to do some touch ups but it is ALMOST finished!!! I acutally have another one that I will start but it is just the bench, there is no desk to the next one I will finish. Now I just have a bunch more to finish up before next week!!! I better get cracking on them!! WHERE ARE THE BUMBLE BEES STRIPES??? LOL- just as I was loading my chair into my van....I noticed something about those bees...............WHERE ARE THE STRIPES?? So I have since added their little bumble stripes and will take back to my store over the weekend!!!! I wonder if anyone else would have picked up on it if I didn't notice it first!!!! I have finally off a few pieces and they are headin' to my shop tomorrow! I have had that old hood milk can light for about 5 years now .......I found it in the basement and just finished it!! I think I have painted about 6 dry sinks to date!! I just love them, one of these days I will paint one for myself!!! .......this little table? Not sure yet!!! It is old and has a ton of paint on it....it will take a while to strip it down but I loved it!!! I LOVE GOODWILL for furniture to repaint!!!! Making your house a primitive HOME! !